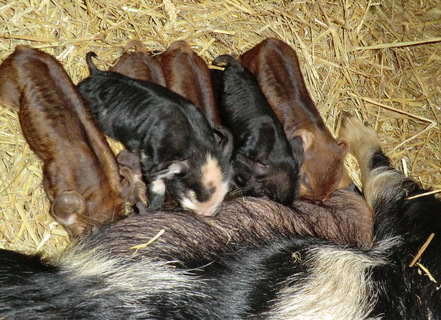 The first litter of 2012 piglets arrived on 1 February. Dottie our kune kune sow struggled as the first piglet was presented backwards with his hind legs pushed forward. We called the vet and he came out at 3.30 am in freezing conditions and managed to deliver the litter of 6 beautiful piglets.